Summers means a lot of free time, which equals a ridiculous amount of art is being produced in my apartment. To offset this, I’m currently offering original paintings at some cheap-o prices! These are mixed media, using spray paint stencils and paint markers on discarded acrylic paintings (collected over the years from former students, but not before getting yelled at for throwing out art). 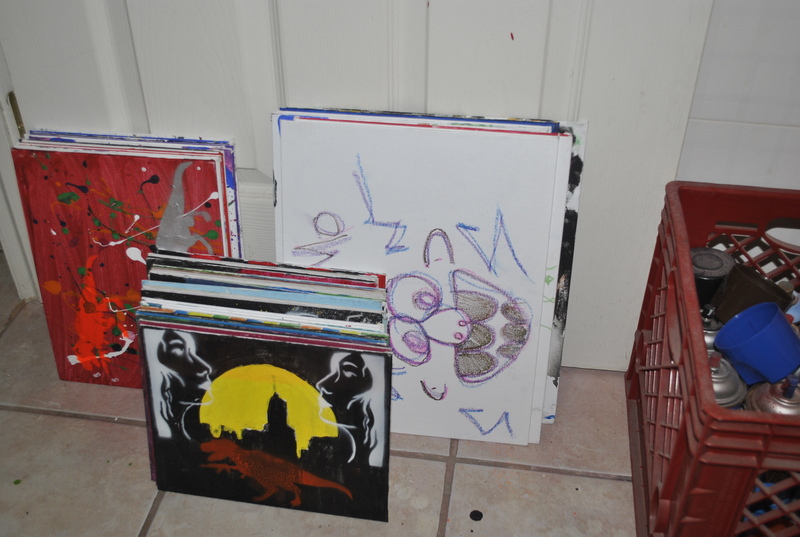 I have about 50 of these canvases, mostly 8×10, but also a couple of 9×12 and 11×14. 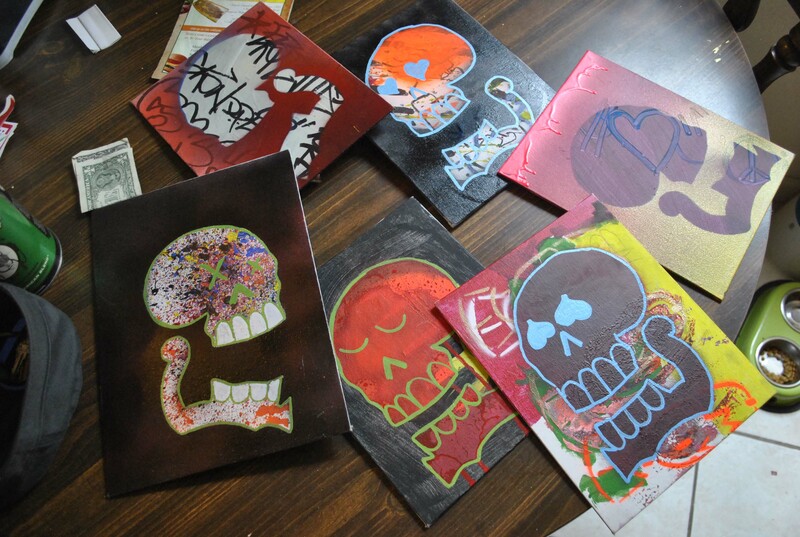 Each canvas is unique, and the skulls are stenciled with spray paint, and accented with paint markers. If there are specific colors you’d like, let me know and I’d be happy to oblige. 8×10 are $10 dollars, 9×12 are $15, and 11×14 are $20. Shipping costs are already included, so you can’t beat this deal with a stick! This entry was posted on July 15, 2011 at 11:39 am and is filed under Art, Misc, Paintings with tags art, art sale, painting, sale, skull, spray paint, stencil. You can follow any responses to this entry through the RSS 2.0 feed. You can leave a response, or trackback from your own site.